After pouring her first cup of coffee to kick start the day, Corrie Taylor, the Crone of Lake Cowichan, shuffled over to the french doors that lead out to the cedar deck. The morning sun was bright and the lake was calm and glittering like tiny diamonds on blue green silk. She opened the door and walked over to the glass topped rattan table, placed her coffee cup down, then slid into one of the complimenting swivel captain’s chairs richly cushioned in a sunny floral chintz. Oh God now I’m talking to birds! Next the town will be calling me the bird whisperer. “Ok listen, I don’t mind if you hang out but if anyone comes around, you need to vamoose! Got it? I have a reputation I’m trying to build here and quite frankly you have not been helping it so far.” she scolded the large raven staring curiously at her with it’s beady black eyes. “Caw” it replied as if to say, okay boss I got it. 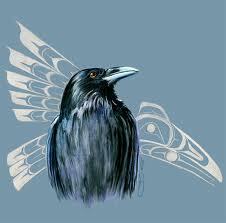 Then the raven spread its powerful wings and flew away over the lake towards her neighbour Jack Fortin’s place. Well I’m glad we got that cleared up, she thought sarcastically, then proceeded to take another sip of her coffee. By late morning. Corrie had gotten her house chores done, made blueberry muffins and had a pot of chicken vegetable rice soup simmering on the stove. She was just washing up the few stray dishes when the chime of the door bell called her attention. Wiping her hands with a waffle tea towel, she quickly made her way to the front door. The Crone smiled a cheery smile at the mature first nations women standing on her front step. She was a well rounded lady with black, probably dyed, short curly hair, square framed stylish glasses and the most beautiful silver carved pendant of a killer whale laying on a pale pink short sleeved t-shirt. “You the Crone?” the lady asked. As Corrie busied herself filling the kettle with water and putting it on the stove element to heat, Daisy made her way to the windows to take in the view. “Who?”, Corrie questioned as she turned to where Daisy was gazing. There on the cedar deck railing, perched as casual as if he lived there, was the large black raven that the crone was beginning to believe was stalking her. Sending eye daggers at the raven, Corrie mentally fumed. I thought we had a deal, Mister? You were suppose to make yourself scarce when anyone came over. You and me are going to have words later buster. “The raven. My husband Jimmie calls him Two Toes because he only has two front toes on his left foot instead of three. I figured he was the one that helped you find that murdered girl last month.” replied Daisy. ” Jimmie thinks he is the spirit of his dead cousin Cecil because he likes to have a sip of Jimmie’s beer whenever he’s around. Cecil was a joker and a trickster like how ravens can be and he really liked to drink beer, a lot. That’s what Jimmie thinks anyway.” added the plump woman with a sheepish grin on her face. For the first time, the crone really looked at the raven on her railing. Sure enough he really only had two front toes on his left foot. I wonder if that was a birth defect or a the result of some accident, she mused. “Great, a booze loving bird! I’ll have to keep an eye on my wine glass when he’s around.”, Corrie snarked and threw a couple more eye daggers Two Toes way. Realizing he was being laughed at, Two Toes squawked a reprimand at the two ladies and flew off. “Well at least I now know how to get rid of him,” laughed Corrie, he apparently doesn’t like to be teased. With the tea and muffins served, Corrie and Daisy sat at the rattan set on the deck for a visit. “So what made you decide you needed to meet me?”, asked Corrie. “Oh, well, a Crone is a wise old women, an Elder.”, Corrie pause for a second a waited to see if Daisy would have a reaction to her using that title. Daisy continued to drink her tea and just gaze patiently for Corrie to continue. 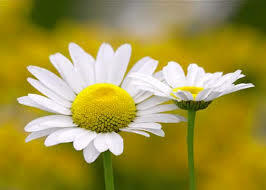 “Well I don’t know about any gift, but I do sense emotion in all living things, so maybe me and Toe Twos are connecting in some way”, and with that Daisy and Corrie also made a connection, one of a mutual respect and understanding.